Colette Twomey is chief executive and co-founder with her late husband of what is now known as the Clonakilty Blackpudding Co.. The business has grown from a single butcher’s shop to be one of the best known brands in the Irish food business, supplying branded black and white pudding, sausages and rashers to multiples, restaurants and shops throughout Ireland. Clonakilty Blackpudding Co. is currently involved in a major push into the UK market. 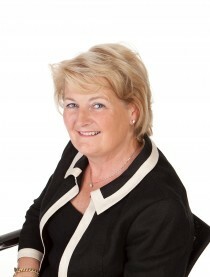 A finalist in the 2010 Ernst and Young Entrepreneur of the Year, Colette Twomey is the 2011 recipient of the Veuve Clicquot Business Woman of the Year Award, and also the awardee of the 2011 Women Mean Business Entrepreneur of the Year, on the basis of her entrepreneurial spirit, innovation and leadership. Colette is based in West Cork.